A Travelodge hotel near one of the world’s busiest airports hides a fun secret: its rooms used to be shipping containers. 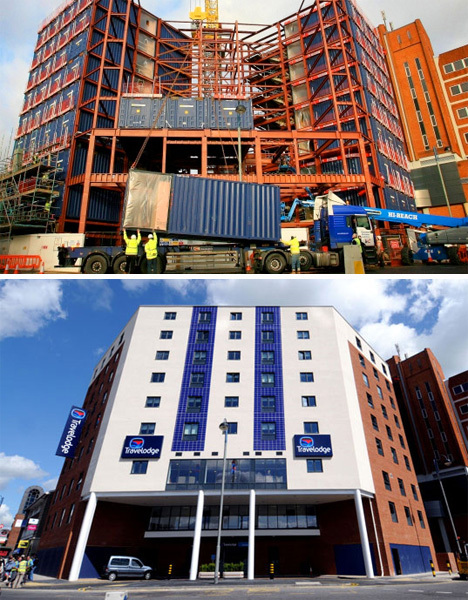 Travelodge realized that building with the used containers could save tens of thousands of pounds per structure, and cut down on construction time by 40-60%. And once the building is completed, it’s impossible to tell that shipping containers are involved in any way.